I was taught in school that over millions of years, the collision of the African and European plates has formed the Alps. So much for the theory. 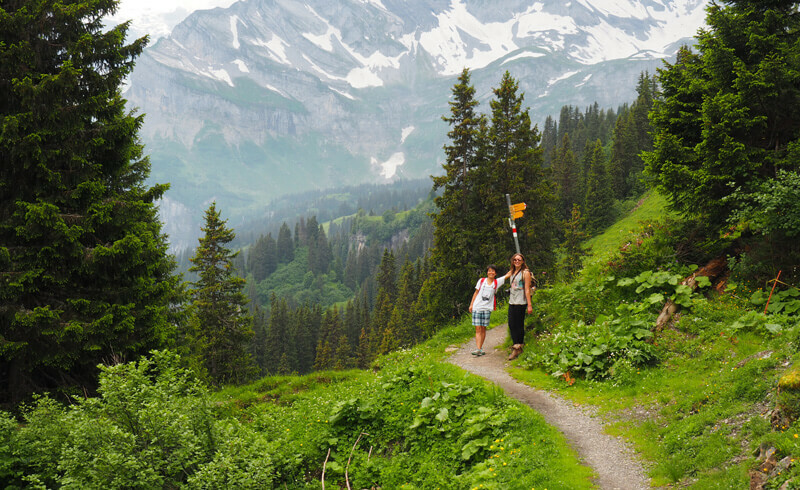 I wanted to see Earth's history up close and personal, so I picked a panoramic hike in the Linth valley near Glarus. This region is under UNESCO World Heritage Protection for the massive tectonic layers which have been exposed like cake. For the next hour, the path continues past endless blueberry bushes and varieties of ferns and mosses. Nature is showing her full spectrum up here in Braunwald, and we soak in the good vibes as we continue our climb. Here is my humble person sporting my favorite Columbia trekking shoes. (For this hike, I decided against proper hiking boots - and I never looked back.) The trail is well maintained and I scale it like a mountain goat thanks to my shoes' perfect grip. Can you tell that I am loving this hike? The restaurant at 1910 meters above sea is our midway point, and it is finally within sight. Having only nibbled on nuts, our bellies are definitively hungry for some barley soup and Nussstängel (hazelnut filled pastry). Despite the trail leading through a dripping moist tunnel at one point, this panoramic hike delivers on the drop dead gorgeous views. The valley below is deep, the waterfalls are National Geographic material, and the geological layers tell the story of how Switzerland's landscape is taking shape. 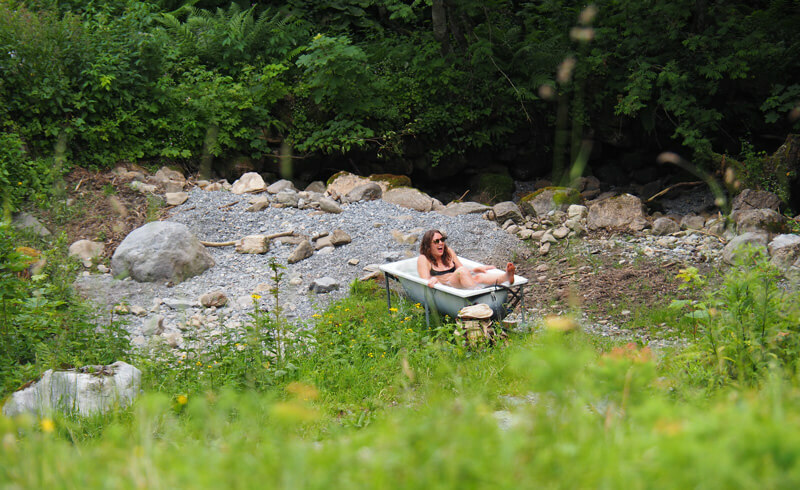 At the end of the day, what's better than cooling off in a chilled bathtub in the middle of the countryside?